​Do you have a heart that needs healing? I do. In 2012, in the midst of a brave cancer battle, my dad lost his life when a blood clot reached his heart. We had never taken the family photos we always talked about, and I will always regret that. Then this past December, I lost my mom, too. What started as a fall with minor injuries quickly turned into a life-or-death situation. Her heart stopped suddenly, and I didn't even get a chance to say good-bye. My heart is broken, but I am going to use that hurt for good. 2017 is going to be a year of giving, using my talents for good. Last year, I became a volunteer photographer in many groups that provide free services to those with cancer, but now I would like to find some that bring awareness to heart issues. I would love to photograph those that are currently battling heart issues or who have won their fight as a way of honoring your courage and informing others about heart conditions. 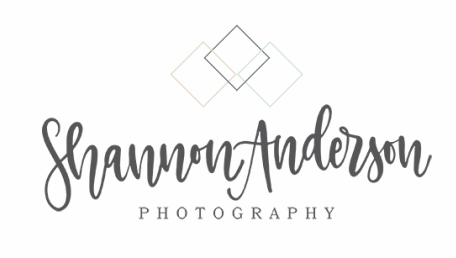 Additionally, I am launching the Shannon Anderson Photography Healing Hearts Project! If you are pregnant, have a newborn, baby or child with a heart condition OR you yourself have a heart condition, I'd love you to be a part of my Healing Hearts Project. 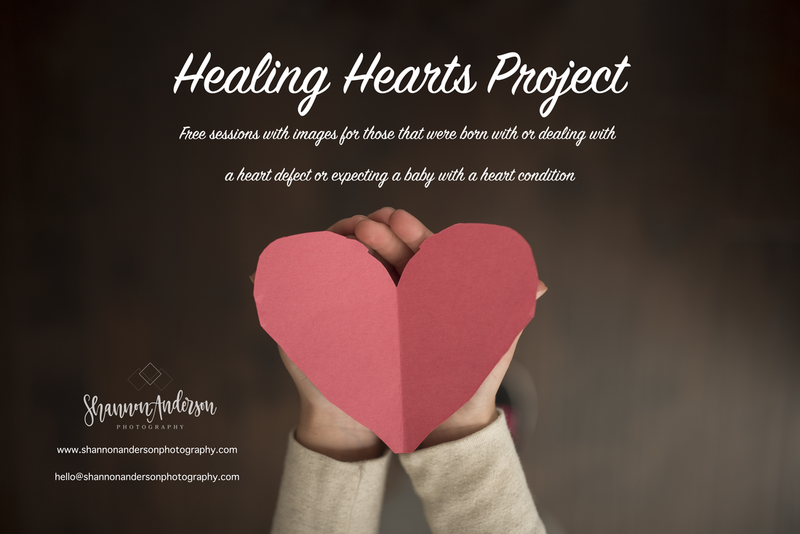 By participating in the Shannon Anderson Photography Healing Hearts Project, you will receive a free session (details vary based on situation but images are included). All I ask in return is permission to share image(s) from your session along with your story that you share (names can be changed or abbreviated if you wish). These might be simple casual images, pictures of your scar or a themed picture. A model release and contract will be required before your session. Won't you join me in celebrating those who are bravely facing their issues, and honoring those we hold dear? ​To View Past Healing Hearts Stories, please visit the blog. If you are not eligible for Healing Heart Stories, you can still help by donating to the charities or participating in my name you price program which makes a donation to a charity.